Everyone is talking about vast open world hacker game Watch Dogs since its release earlier this week, and that means one inevitable thing: it was only going to be so long before the parodies started rolling in. 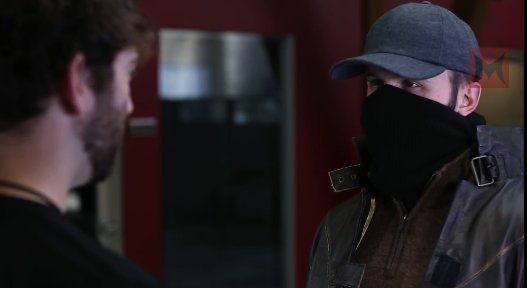 This Machinima.com parody of the game imagines a scenario in which Watch Dogs‘ main protagonist is forced to ditch his smartphone — which allows him to hack into various electronic devices tied to the city’s central operating system — for an iPhone. For most people, switching to iPhone is a definite upgrade. For Watch Dogs’ Aiden Pearce, however, it’s a less clear-cut decision. Apple has a long history of naming its new versions of the OS X operating system after successively larger cats, but after eleven years of this, Cupertino’s got a problem on their hands: they’ve pretty much run out of big Earth cats. Far beyond the Oort cloud, however, there are even bigger and more ferocious cats on the loose. 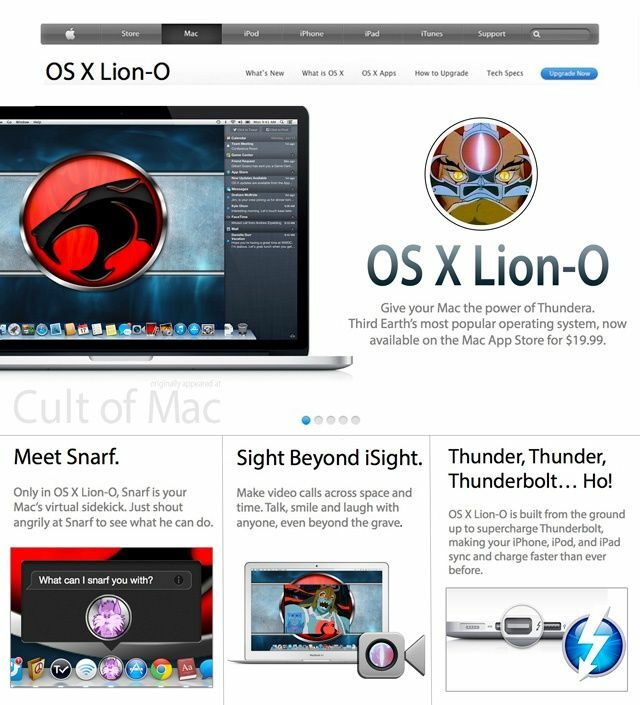 Feel the magic and hear the roar of OS X Lion-O, Third Earth’s most popular operating system. Featuring Snarf, your Mac’s cowering new digital sidekick, revolutionary Sight Beyond iSight technology, and i of Thundera compatibility, OS X Lion-O is the best Mac operating system yet. Think you’ve got a better idea for the next version of OS X? Join our contest for a chance to win a copy of Photoshop Touch and the next version of OS X when it comes out! Buying an iPad mini today? You're just another 'sucker', apparently. 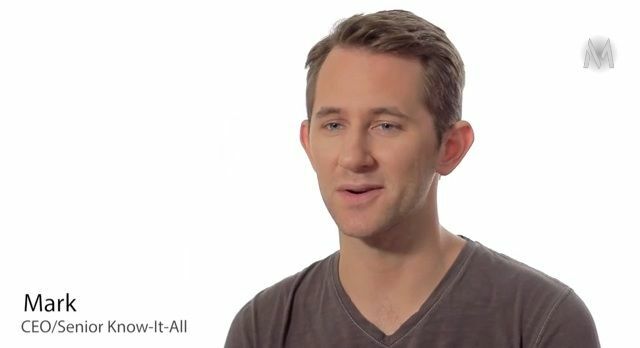 If you thought you had seen your last Apple Maps parody, think again. 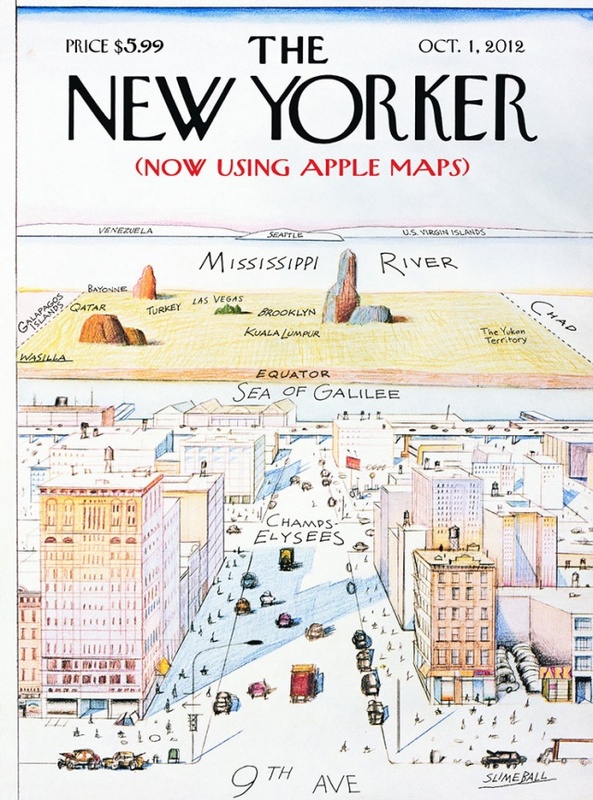 Mad Magazine, a purveyor of satire, has joined in on the fun with its latest parody of The New Yorker featuring Apple Maps. It’s starting to look like Mapgate will remain a staple of satire much longer than the once hilarious Antennagate saga. 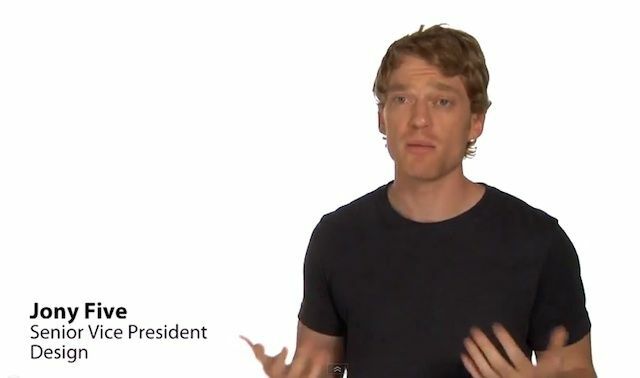 Most of the Apple parody videos rehash the same old jokes. Are they still funny anymore? I don’t know. But the guys at JLE have been making Apple parody videos for years now and just released their banned iPhone 5 promo video that is full of laughs. Check it out. Bored of all iPhone 5 and iPad mini rumors? How about a little light-hearted rap to brighten up your day? 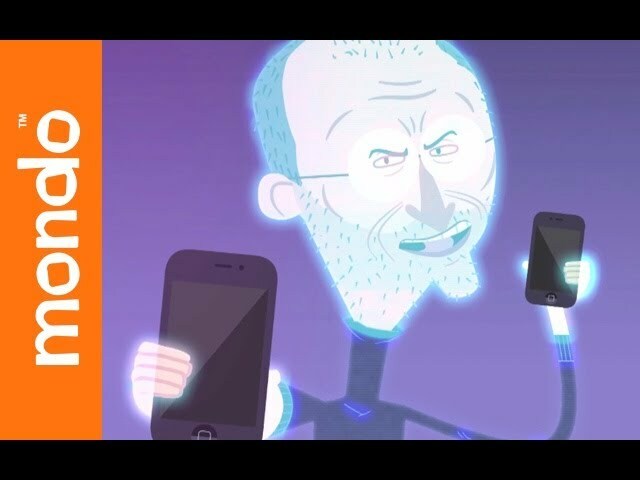 Check out this hilarious parody video from Mondo, in which a Steve Jobs hologram appears at an Apple event to rap about the iPhone 5 and puts Tim Cook in his place. 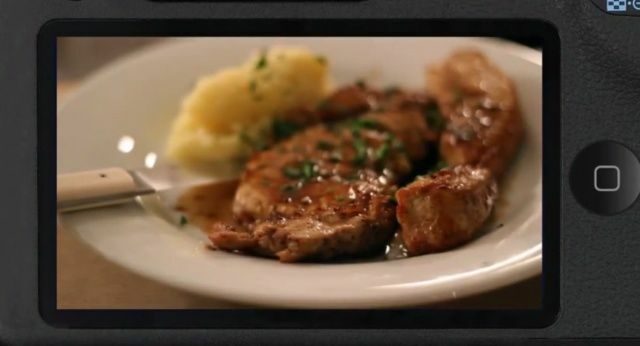 The clip contains some obscenities, but I think you’ll agree it’s pretty funny without being too irreverent. "These pictures look so good that nobody would ever imagine you lie awake at night wondering why you can't feel happiness." Conceptual mock-up of what the iPizza might look like. 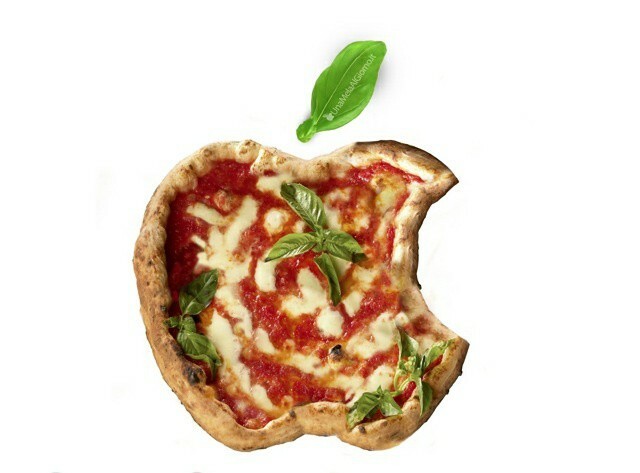 Apple has begun a hiring push to find lead design engineers to help them make the long-rumored iPizza a reality, Cult of Mac has exclusively learned. The advert, posted today on Apple’s jobs board, calls for a candidate with at least four years experience in the Neapolitan supply chain. Intriguingly, one of the skills required for the position is the “ability to hand stretch the pizza (without using a rolling pin),” suggesting that the new iPizza will be built with a revolutionary new manufacturing process. Talk of an iPizza is not new. Over the years, Steve Jobs was spotted many times in Silicon Valley researching slices of pizza, leading to ongoing speculation that Apple was interested in entering the saucy Italian pie industry. 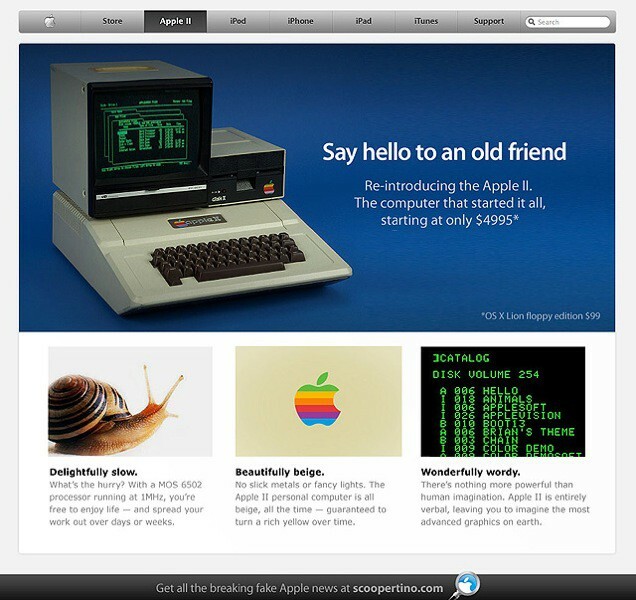 The Apple II gave birth to the computer industry. Now it’s pregnant again — this time with unlimited possibilities.